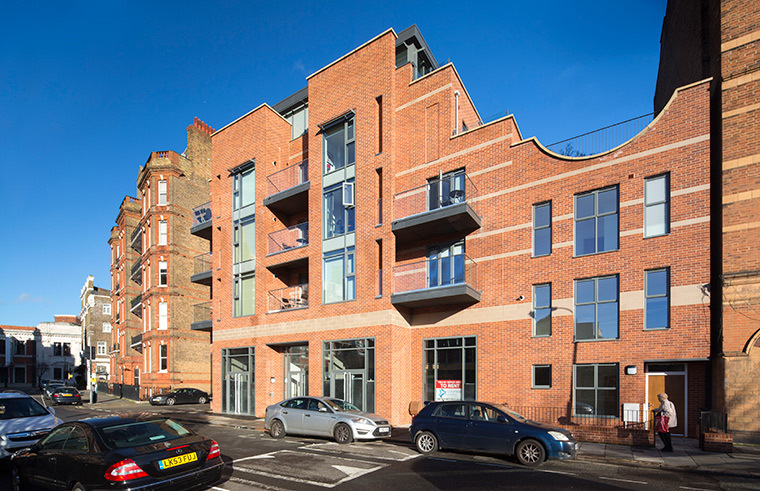 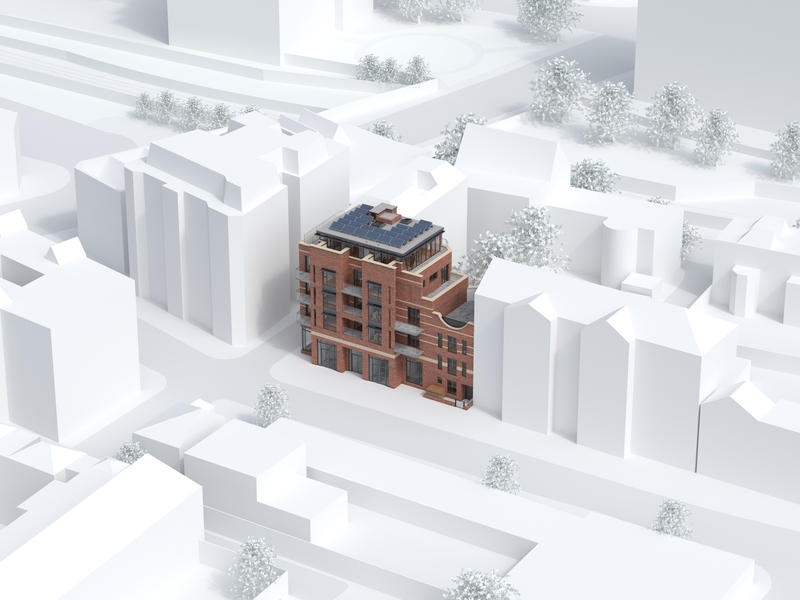 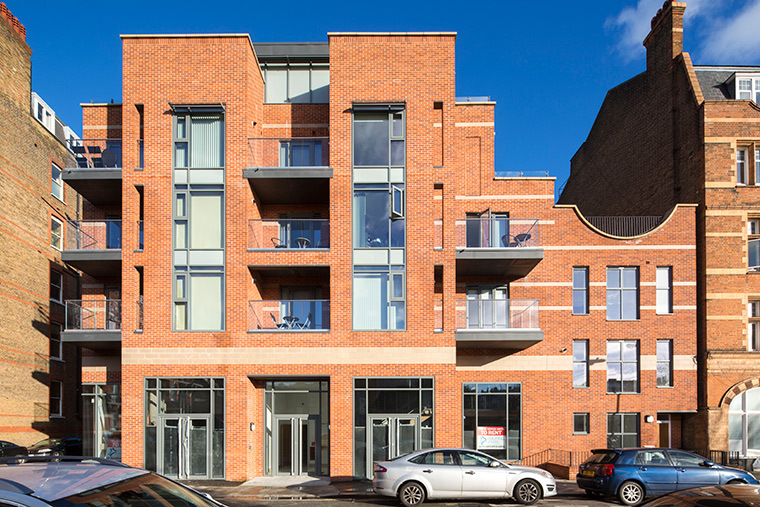 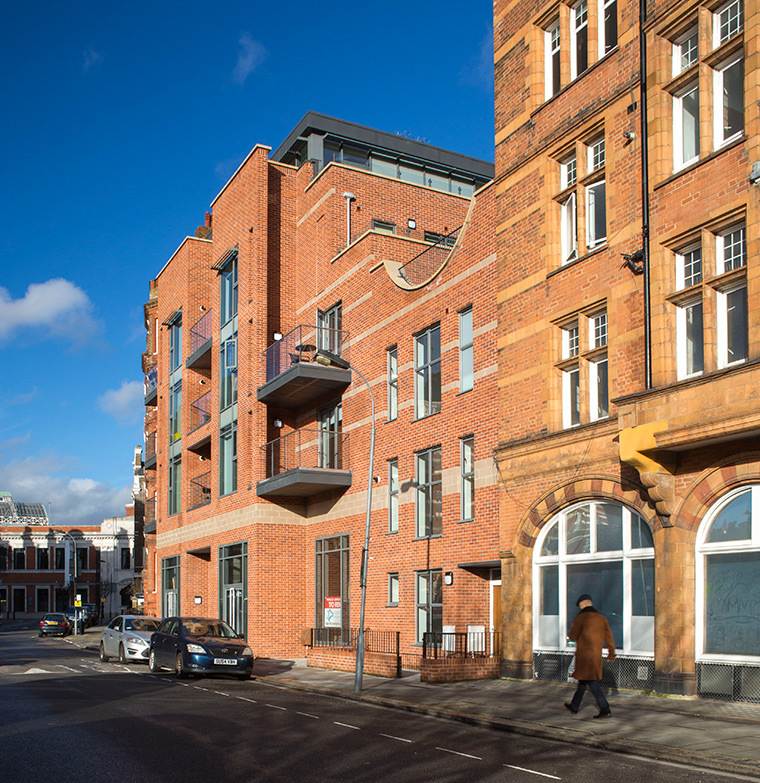 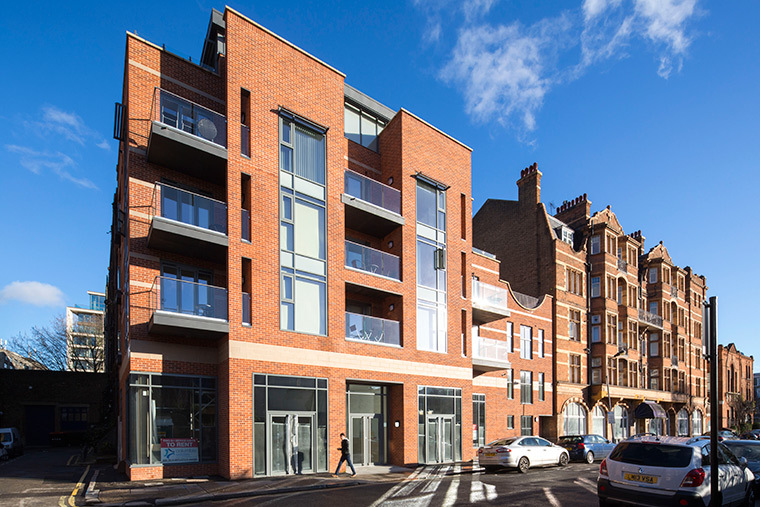 This development fills a small, corner site between two Victorian mansion blocks in a conservation area in Hammersmith. 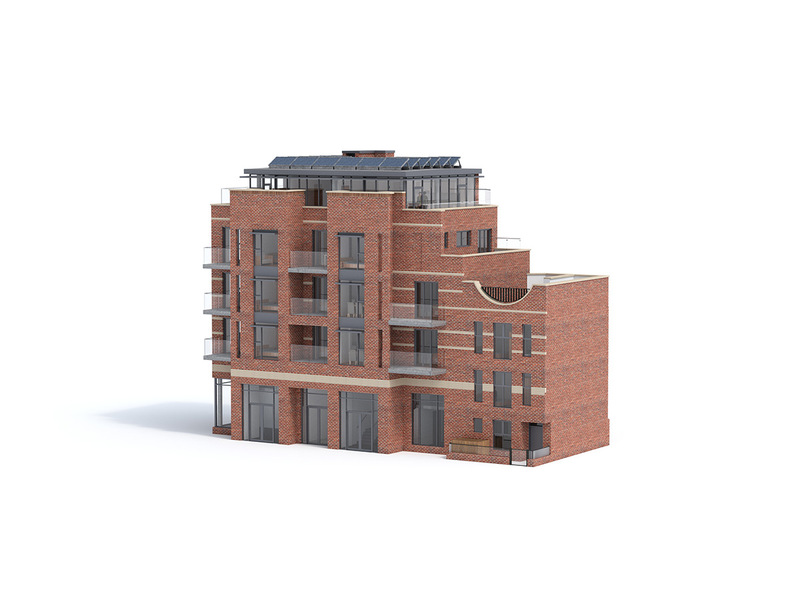 Housing a townhouse, 10 apartments and two commercial units at street level, the building has been scaled and detailed to pick up a number of its features from the neighbouring buildings including the articulated roofline, twin bay composition, coloured bricks, the treatment of balconies and the general rhythms and planes of the elevations. 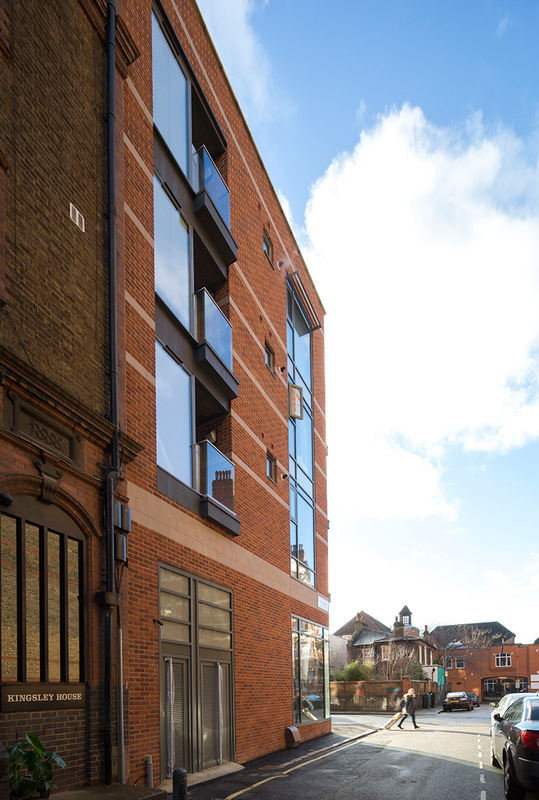 As well as visually linking the existing buildings, it opens up to the street corner in place of what had been a blank gable wall.